We only offer these free lessons once a year, during Adult Learn-to-Swim Month (April), so whether you are a non-swimmer who is fearful of the water or a beginning swimmer who just needs a little help with breathing or stroke improvement, sign up now. Space is limited. 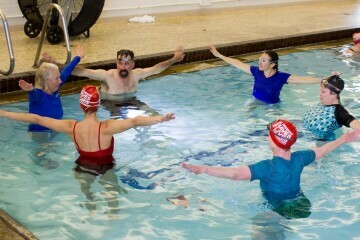 For more information, contact Sue Harkin at 406-600-9296 or learntoswim@bozemanmasters.org.